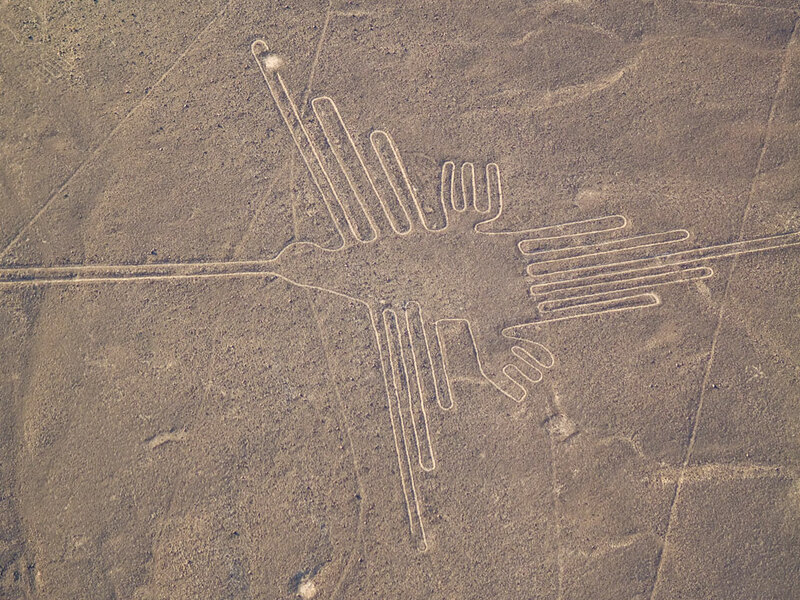 We may never know who crafted the huge pictures on the Nazca Plains, or why they created them, and that mystery only adds to the attraction of an incredible site. How could human beings living over 1500 years ago create immense shapes, patterns and animals, all perfectly aligned and proportioned, when they can only really be clearly seen from the air? A flight over this UNESCO World Heritage Site is a must. 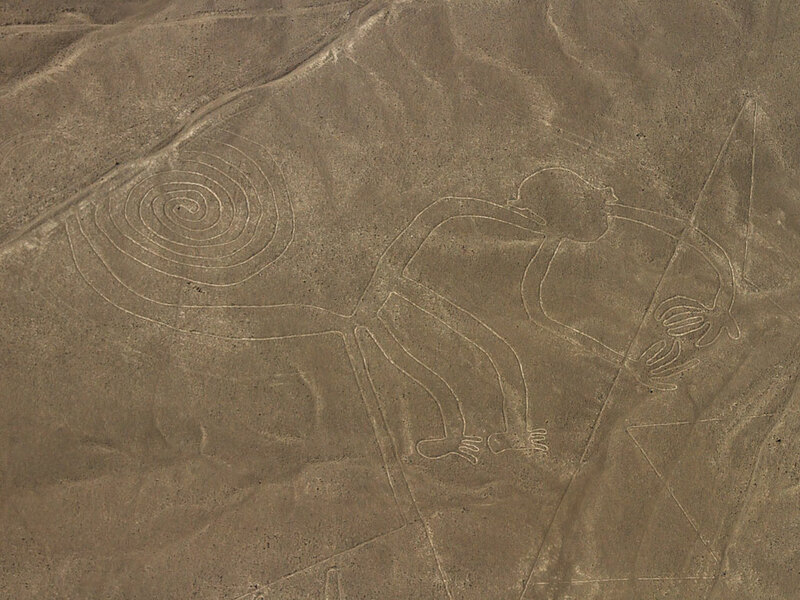 The vast, mysterious Nazca Lines are the prime reason to visit this part of Peru, but there is much more to see in this enigmatic region, particularly for those fascinated by ancient civilisations. The Nazca Lines – hundreds of shapes created by removing earth and rocks from the Nazca Plain. Some are several miles in length. Most are geometric patterns but there are over 70 recognisable figures, including a hummingbird, whale, monkey, human, a pelican and a spider. There is a viewing point – the Mirador – that lets you see three of the figures from terra firma, but for a comprehensive and awe-inspiring view, take one of the many 30 to 60-minute light aircraft flights over the site. But take a travel sickness pill first – there’s a lot of steep banking involved. Visibility is generally best, and turbulence lower, between 7am and 10.30am. Meet the pre-Inca Nazca mummies at Chauchilla Cemetery – which you may recognise from the film Indiana Jones and the Kingdom of the Crystal Skull. The mummies sit upright, and some still have hair and skin. The Palpa Lines – pre-dating the Nazca Lines by as much as a millennium, there are more than 1600 lines and geoglyphs crafted by the Paracas people on the ridges and sides of great hills, including a 500ft sundial and many human forms, such as the eight figures of the Familia Real de Paracas. 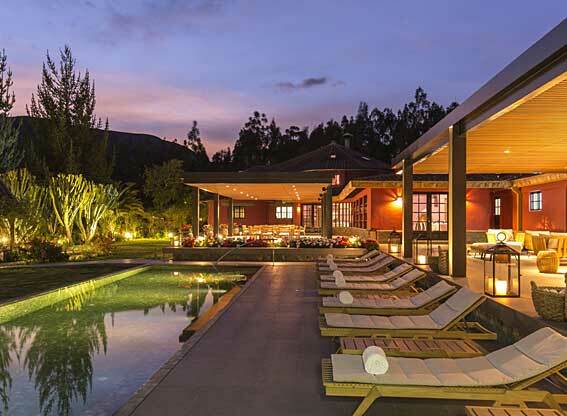 See pre-Inca structures that are still in daily use – the Cantallo aquaducts. This underground system, with its numerous spiralling wells and stone aquaducts, still irrigates local farmland.